Temporomandibular joint disease (TMD) is a dental condition which affects the joint which links your lower jaw and the rest of your skull. In order for you to be able to speak, talk and do so many other functions, your jaws should be given a degree of mobility which the temporomandibular joint provides. Pain which arises from TMD can be acute, and last only a couple of days although at immense intensities, or it can be chronic, dragging on for a couple of months to years. 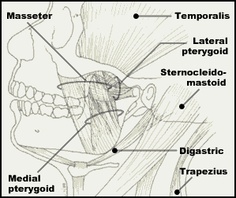 Sometimes, the only thing which you can do is to control the symptoms of TMD including pain. There are a number of ways that you can provide temporary relief of pain due to TMD. For instance, you can make use of cold or hot packs. Apply an alternate of cold and hot packs on your temple or the region of your jaw which hurts for at least 10 minutes each in order to help lessen the pain. You can also try to limit the use of your jaws by being careful when wide yawning or singing. Also avoid putting pressure on your jaw by pressing your hand against it. Modifying your diet can also help to relieve the amount of forces that your jaws receive whenever you eat. Finally, over-the-counter pain relievers can also help to control the intensity of the pain. One of the reasons for why TMD could develop is because of your bite. One way to relieve stress on your jaws because of a bad bite could be to adjust the position of your jaws. This is done with the help of splints or mouth guards. What these dental appliances do is to allow the two sets of your teeth to be spaced comfortably apart from each other. In extreme cases, your dentist may need to perform surgery on you through a process called arthrocentesis which involves the cleansing of the joints in order to get rid of substances which may be causing the jaw to become irritated and produce symptoms of pain. The procedure is done under general anesthesia and just like any other surgery, arthrocentesis has its risks.